Two Nason Yeager Attorneys Make 2018 Florida Trend Legal Elite List | Nason, Yeager, Gerson, Harris & Fumero, P.A. 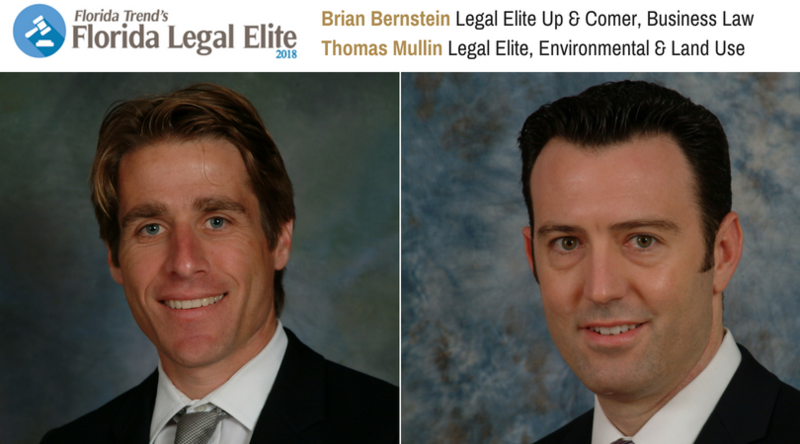 Environmental & Land Use attorney Thomas Mullin and Business Law attorney Brian Bernstein made the 2018 Florida Trend list of Legal Elite. Mullin is a shareholder at Nason Yeager and represents clients on environmental and land use litigation matters in circuit courts, district courts of appeal and the Division of Administrative Hearings. Read his full bio here. Bernstein is also shareholder at Nason Yeager and practices in the securities and corporate departments. Prior to attending law school, he was as an auditor for a top 4 public accounting firm. Read his full bio here.